Can I Use All-Purpose Baking Mix to Make Pancakes? Golden-brown pancakes can be part of a healthy breakfast. 1 Will Adding Cocoa Powder to a Cake Dry it Out? For breakfast, brunch or dinner, pancakes are one dish that draws everyone to the table. While pancakes aren’t difficult to make from scratch, if you’re short on time or ingredients you can grab that box of all-purpose baking mix from the shelf and stir up a batch of pancake batter in no time. Most mixes contain powdered milk and eggs so all you really need to add is water. But, you can make some tweaks, too. 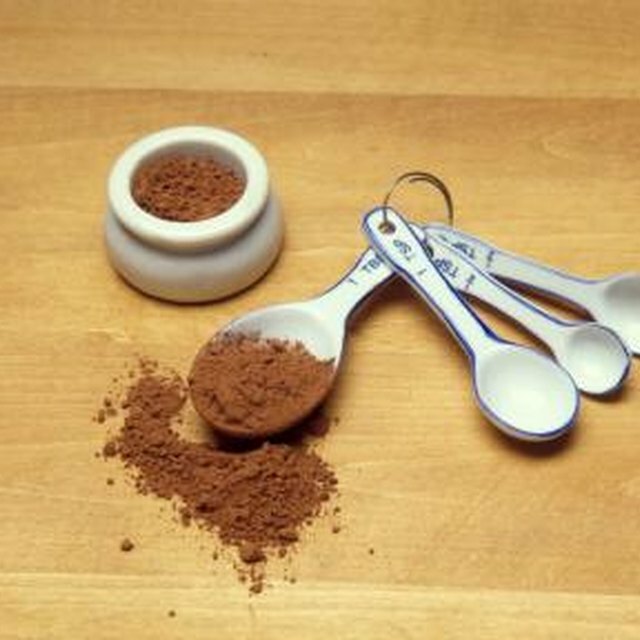 All-purpose baking mixes consist of flour, vegetable shortening, baking powder and salt. They often include dried eggs and powdered milk, with some brands containing powdered buttermilk. 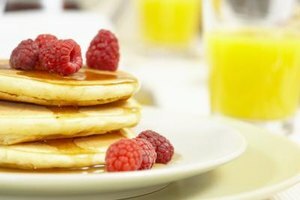 Pancake batter is sweeter than conventional biscuit dough made from the same mix, so you may want to add sweetener. Regular granulated sugar is one choice, but you can also use honey or stevia. All-purpose mixes use a standard ratio of shortening to flour so the mix will work for various recipes. Shortening is one ingredient you may want to tweak to achieve richer pancakes. You can add 2 or 3 tablespoons of melted butter to the batter, or substitute oil with a neutral-flavor such as sesame or sunflower seed oil. Adding one or two eggs also helps to enrich the batter, and eggs improve the texture of the cooked pancakes, making them lighter and fluffier. Follow the recipe for the total amount of liquid recommended on the box, and include liquid shortening, eggs and milk or buttermilk to meet the total. Adjust the consistency of the batter to your personal preference by adding more or less liquid. Thicker batter produces thicker pancakes which may require longer cooking time at slightly lower temperature. Stir in cinnamon and vanilla to taste, or add blueberries, diced apple chunks or raisin bits. Fruit pieces tend to sink to the bottom of the batter. Remedy this by dropping bits of fruit into the batter as soon as you pour it onto the griddle for more even distribution. Preheat the griddle or pan to 375 degrees Fahrenheit. Use cooking spray or oil on the surface to prevent sticking. Additions to the batter may alter the results, so pour a test pancake to make sure the temperature is correct. Pour about 1/4 cup of batter onto the hot surface for each pancake. When bubbles rise to the top of the pancake and pop and the pancake edges begin to look dry, flip the pancake. The pancake is done when the underside is golden and the center of the pancake is cooked.